The TRANSnet Public Transport Priority system is now being trialed in Singapore. 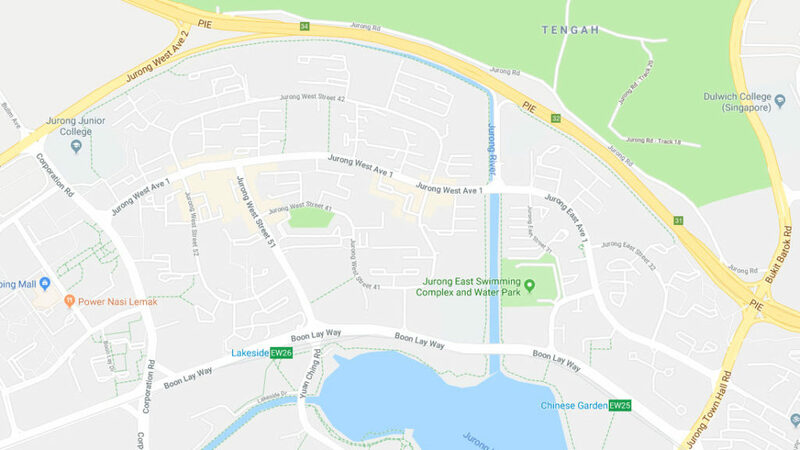 A pilot study on two critical bus routes in the Jurong District is being used to evaluate TRANSnet’s powerful top-down public transport management features. 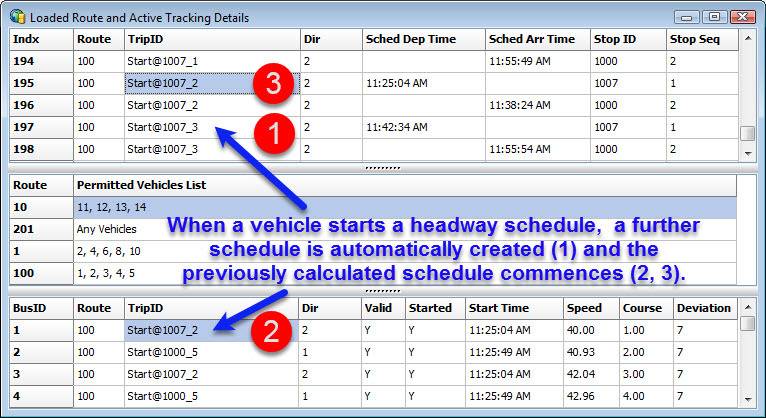 A number of new features have been added to TRANSnet, including Automated Bus Headway Scheduling, and several new Reporting and Monitoring tools have also been introduced. The trial is utilising multiple technologies based on the TRANSnet Tracker units, including GPS positioning data, Wireless network communications, and Automated Scheduling, all working together in an integrated environment to keep bus services operating to expected headways. 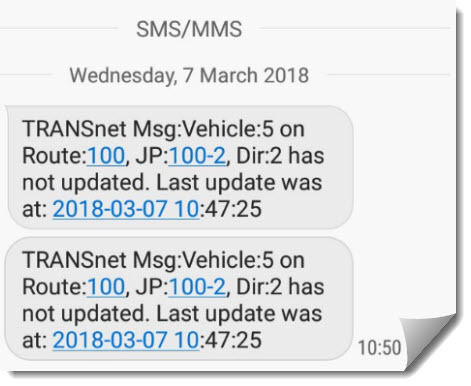 The TRANSnet Public Transport Priority System for SCATS now has a new SMS reporting sub-system that can automatically send an SMS alert to up to three mobile devices if a vehicle update alert is received. Settings are managed through the Preferences dialog. This allows unexpected outages of field communications devices to be instantly reported for attention/action by support staff, thus keeping the system operating effectively and efficiently. 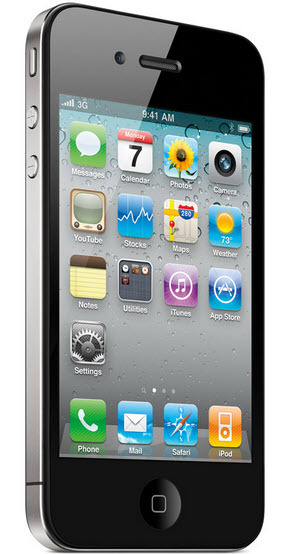 A test button is also provided that sends a Test Text Message to the phone. This is provided to check that the system is configured correctly. 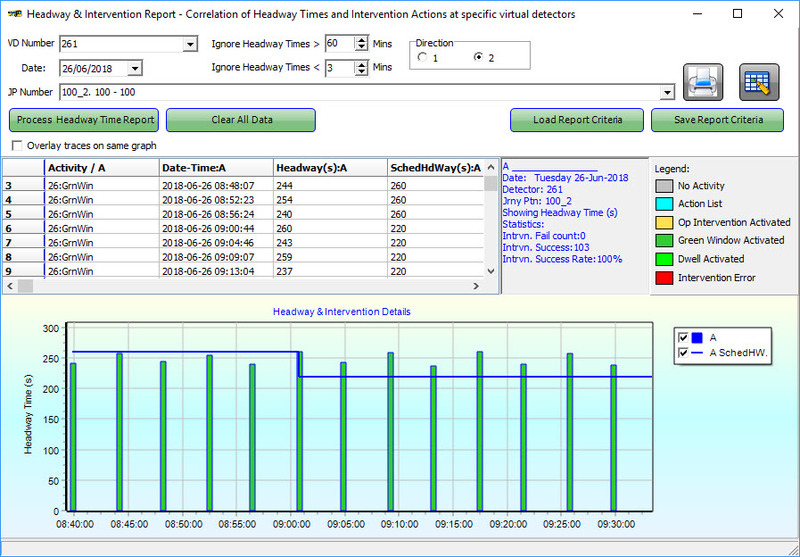 The TRANSnet public transport system for SCATS now has integrated Headway Management and Reporting tools. A common requirements is to keep public service vehicles running at a consistent frequency (e.g. a service every 10 minutes), rather than a pre-determined schedule. TRANSnet now monitors the frequency of arrivals at each virtual detection location, and also tracks the intervention type that was delivered at these locations to maintain the service headway. 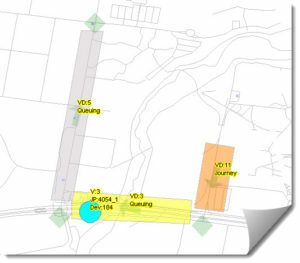 The Priority Intervention information shows the Headway Time between vehicles, the detail of the intervention type, the exact number of times intervention was called for each intervention request (this quickly identifies if the ‘level’ of intervention was satisfactory, or if a more severe intervention was really required). It also shows if the priority intervention could not be delivered and the exact reason(s) why. 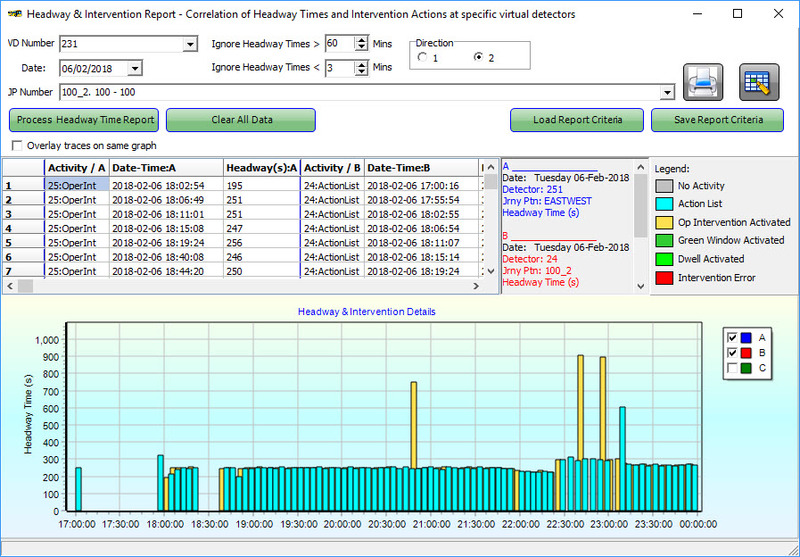 These tools quickly provide the operator with valuable feedback to quantify priority operation, success rates, and identify issues that should be investigated based on performance improvement. Advantech Design presented a Paper on the TRANSnet Public Transport Priority System at the 2015 ITS Summit in Melbourne. The paper, titled: “TRANSnet – Technology for Advanced Public Transport Priority” was accompanied by a video presentation demonstrating the benefits of using the TRANSnet system. Advantech Design has been granted membership to the VicRoads Product Compliance Consultants Panel.